I've had a "TOURism Project" on the drawing board for as long as I can remember. 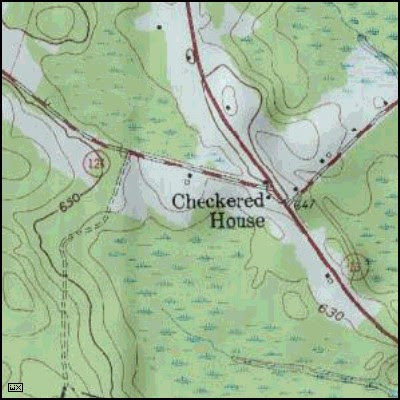 It all began with a little known intersection in Oswego County, New York, known as Checkered House. Here, a building painted in a checkerboard pattern, likely an old Coach Road Inn at one time, marks the beginning of New York Route 104 that travels west all the way to the City of Niagara Falls. The idea for the project is to travel the length of this road as a tourist might, seeking attractions, historical markers, heritage and arts & culture sites, hot dog stands, farmers markets, bed & breakfasts and, well, you get the idea. It's doubtful that I'll be able to get to this project without a grant and a small research staff but it's been on my mind. Cool idea. That would be really fun. Reminds me of the other project, which I miss. Other project? Did I miss it too? I like the idea, you love and are proud of your environment. I sense that in a lot of your work. The past few years I've been researching and studying a lot of similar but very different things: land art, land use planning & interpretation, walking as an art practice and documentation techniques for these very different ways of seeing and participating in the arts. 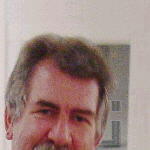 I'm also very interested in promoting art as an "experience" that seems to be gaining ground. Thanks for the kind words, John. I think any money put into such a venture would be an investement...good idea:) The checkerboard house sounds very intriquing all by itself! I think the same thing but, how to convince those who will benefit over the long haul? A 3-5 year development, marketing and branding strategy may be too slow a mover in the best of economic times. Still, I have the dream.